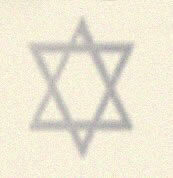 Jews have striven in every generation to reestablish themselves in their ancient home. Like a child who exits its mother's womb, so the Jewish people were born as a complete people who came into existence upon the exodus from Egypt. The land to which they belonged came only after wandering in the desert for forty years. The Jewish connection with the land of Israel dates back to the days of the patriarchs to whom G-d promised to give the land of Canaan to their children. This prophecy was four hundred years before the exodus from Egypt and only materialized when the Jewish people left Egypt, and subsequently came into the land of Canaan. It was their lot to conquer the land from the local Canaanite inhabitants. The Jews lived in the land of Israel some 1500 years a continuum that stretches from before the first Temple to the destruction of the second Temple. The Jews were finally exiled into the Diaspora at this time to atone for their iniquities. Now some 2,000 years after the exile, in accordance to G-d's promise that before the time of the Messiah, he would return the Jews to their homeland, the Jews are returning. In 1897 Theodore Herzl summoned the first Zionist Congress and proclaimed the right of the Jewish people to a national rebirth in their own country. This right was subsequently recognized by England in the Balfour Declaration of 1917 and reaffirmed in one of the mandates of the League of Nations. It was Herzl's vision of the Jewish State, which he described in his Utopian novel, Altneuland, in which he described how the Jews would live in peace with their neighbors. As a neutral state it would need no army. He anticipated that the Arabs would be grateful for the material benefit that they derived from the newborn and prosperous Jewish civilization. Filled with socialist ideology, the new settlers that arrived in Israel at that time expected to live in peace with their Arab neighbors. It was expected that the Arabs who possessed such a large land mass and were comprised of some twenty different countries would not object to a small Jewish country in their midst. It was likewise expected that the local Arabs would embrace the Jews and the prosperity that they brought to a plighted region. The Socialist Zionist looked forward to creating a model society based on social justice for all. In all of the various Zionist splinter groups, from the religious to the other extreme, the Communists, there were never any concepts of using violence towards the local Arabs. It was only when the Arabs began to consider the Zionists as a danger to their own aspirations did violence become a political factor in the Middle East and this was at the initiative of the Arabs. In the late 1800's, the Arabs did not view with contempt specifically the new Jewish arrivals to Palestine. Although Jewish settlements and living quarters at that time were subject to violence from robber bands, Arabs were hired as watchmen to protect the Jewish inhabitants. The Jews made contracts with the local sheiks, which turned them into allies. It was around 1915 that the concept of Jewish self-defense organizations began to take root. At first, the Jewish "HaShomer" society was not well received by the local Jewish inhabitants. They wanted peace and quiet and found that their local Arab watchmen were well qualified to protect them. Only gradually did the Jewish "HaShomer" society gain its acceptance. By 1914, there were some 85,000 Jews living in Palestine. Together with the local Arabs, they suffered from the hostile attitude of the Ottoman Government. There were some local Arabs who had nationalist aspirations but the Ottoman Government was strict in maintaining an atmosphere free of rebellion. These Arabs would use as their target Jewish groups to express their displeasure of their Ottoman rulers. Yet the local Arabs and Jews shared in common the desire to see the removal of the Ottoman Government from Palestine. World War I was a period of calm in the relations between the Jews and Arabs in Palestine. The Ottoman Government was suspicious of the Jews in Palestine and many Jews were deported. Arabs were less suspect and suffered much less at the hands of the Ottomans. After the defeat of the Ottomans and the entrance of the British, who were the creators of the Balfour declaration, the Jewish inhabitants of Palestine were overcome with euphoria. The Jews had served the British in many different ways during World War I. They had hoped now that the British were in command; they would let the Jews fulfill their national destiny by building the promised homeland. It was not until there was an attack on the northern settlement of Tel Hai in 1920 by local Arabs who were unwilling to accept French rule in the Upper Galilee that the Jews realized that the dream was not materializing. The attack was encouraged by the local Arab leader who took advantage of the lawlessness in the region and was preceded by bloody attacks against Christian villages in the region. This became the first successful attempt of terror used to effect political gains. Although anti-Zionism feelings may have been a small element in the attack, the main motive was a desire for booty by the local Arab attackers. The debate in the Jewish community was should neighboring Metulla and Kfar Giladi to be fortified or evacuated. Before men and arms could be sent, Tel Hai fell and Metulla and Kfar Giladi were evacuated. Yet the desperate but unsuccessful stand of the few defenders of Tel Hai brought a political dividend. The final boundary between the French Mandatory Territory and that of the British was drawn to include the Upper Galilee in the British sector. This was the gain that the terror attacks brought the Arabs and it became an act that would be repeated over and over again taking advantage of a world that did not want trouble. At this time, Arab demonstrators in various cities held with the consent of the British. Demonstrations began against the Zionists using: "Palestine is our land and the Jews are our dogs", as the motto and cry to arms which was to accompany many other demonstrations. More important perhaps was the impression that the British military gave by authorizing the Arab anti-Jewish demonstrations. They were in effect showing their support of the Arabs against that of the Jews. This was a tactful rejection of the Balfour Declaration, which after World War I did not serve the interests of the British Government. This gave the Arabs the distinct feeling that the British were on their side. In 1920, the feast of Nebi Mussa coincided with Passover. The annual procession from the shrine near the Dead Sea was set to pass through Jerusalem. In spite of warnings of violence from Jewish leaders, including Chaim Weizmann, to the Military Governor of Jerusalem, there was no ban on the procession nor did the British take any precautions beyond the removal of Jewish policemen from the Old City of Jerusalem. The result was a pogrom in which Jewish shops and homes in the Old City were looted, women raped, and Jewish passersby attacked. The result left six murdered and 200 wounded. This success of this pogrom was the first indication that the British policy was changing in favor of the Arabs. Hajj Amin al-Husseini, the firebrand nephew of the mayor of Jerusalem who headed the demonstration and had urged the mob to violence, was shortly thereafter appointed Mufti of Jerusalem by the British High Commissioner. This was a dark beginning for the Jews and was to last many years and bring much bloodshed and tragedy to both sides. The 1920 Passover riots set a pattern for future decades in which force employed by Arabs against Jews was designed to influence British policy. The British for their own self-serving reasons were only too happy to be convinced that the Jewish National Home was a mistake and to be renounced. Here we have again the combination of utilization of terror to influence national policy, except that in this case, the British were only too happy to oblige. However as historic and political events go, the British needed Jewish support for the San Remo Conference. In order to placate the Jews a civilian, a British Jew, Sir Herbert Samuel, superseded the Military Government. In 1921 the new Secretary of State for the colonies, Winston Churchill visited Palestine. Even before his visit, it had been decided that Transjordan would become an Arab Province under an Arab governor responsible to the High commissioner. This was land that was originally allocated to the creation of the Jewish state. The meaning now was clear; Transjordan was to be developed as an Arab state, the West Bank would continue under the Mandate. This meant that the Balfour Declaration was being truncated to placate the Arabs. The British authorities considered this as primarily a matter of political and administrative convenience. The Palestinian Arabs saw this as a direct result of their resort to violence. Again the Arabs have seen with their own eyes that violence and terror bring political gains. In 1921 Arab rioting broke out following the May Day procession in Jaffa. The Jewish procession, which was sanctioned by the authorities, was peaceful. The Arabs, together with the Arab police, attacked men, women and children. These rioters used knives, pistols and rifles murdering 27 Jews and wounding 150. In two days the death toll rose to 43. The open participation of the Arab policemen in the killing and looting was allowed to pass without impunity. The Haganah, which was in its infancy, was unprepared to aid the situation. The British authority's callousness and lack of adequate response encouraged the rioting to take root everywhere. The Jewish Legion (which was a part of the British army) came to the defense of the Jaffa Jews but without permission from the authorities. The British considered the possibility of court-martialling these Jewish soldiers who brought calm to the situation. The disturbance raged for several days wherever Arabs came into contact with Jews. As a result of the Disturbances of 1921 an Arab delegation, headed by Musa al Hussein who was former mayor of Jerusalem, visited London to confer with the Colonial Secretary, Winston Churchill. During their visit on November 2, the anniversary of the Balfour Declaration, new disturbances broke out in Palestine. These disturbances were clearly designed to strengthen the hand of the delegation in its negotiations. During this time, four Jews and one Arab were killed. The use of violence to achieve political aims crystallized on the Arab side. The Arabs, who did not fear a Jewish attack, utilized violence and terror as a means of expressing their dissatisfaction with the British policy and to exert influence on the British policy makers. Therefore violence was stepped up whenever it was needed to pressure the British. Soon after the riots, Sir Herbert Samuel suspended Jewish immigration giving the Arabs and their terror another win. With the Jewish High Commissioner declaring a halt to Jewish immigration, the violence brought again solid results. Subsequently the Churchill White Paper of 1922 finalized the exclusion of Transjordan from the National Home, contrary to the San Remo decision of 1920, and introduced the concept of restricted Jewish immigration giving the Arab terror its first victory even though the Arabs rejected this White Paper. The Jews meekly accepted the White Paper and set a precedent showing that they were capable of accepting any difficult decision without complaint. Herein was the formula for all successive Arab policies and demands. The British who desired Arab oil aided terror since it was in their national interests to leave their Jewish commitments. This game or policy as it was called continued until the British finally left Israel in shambles and gave the surrounding Arab countries the idea that they could successfully invade and massacre the local Jews and profit from their possessions. In each case of terrorism, there are two scenarios: one is the terror attack; the other is the political goal. By use of terror, the Arabs have seen clearly that the large European nations will not stand up to terror. Because of their self interests in the Arab markets they refuse to act against terror. Today terrorism has become more sophisticated. Where as the Arab countries were eager to do away with the tiny Jewish state, they realized that it was not easily achieved. After losing so many wars in such a disgraceful and humiliating manner, they have come to the conclusion that instead of fighting with their armies and inviting disaster, it is easier and cheaper to pay terrorist to carry on the fight. In this manner the plight of the Palestinian Arabs is always front page material and in the eyes of the politicians. Hence we are now in the era of state aided terrorism. Instead of an Arab state spending vast fortunes to keep up its army, it can give a pittance to a terror group to continue the war in behalf of all of the Arabs. With the upswing in Muslim fundamentalism, it is not difficult to find starry eyed youths who are willing to end their lives with the promise of 72 virgins to attend to him in heaven. The bottom line is that the Arabs have learned clearly: Terrorism pays, especially if it brings the results in a quick and decisive manner. Once terrorism is employed, the chances of the two sides sitting down and trying to work out differences are null. Why give in? If the other side does not give in, use more terror! It is cheaper than an invasion by the Arab armies, and with less Arab casualties. Is there really any doubt that terror will not cease as long as those Arabs see it as reaping benefits. Like a bully who is able to extort concessions from those who do not want to fight, so the terrorists ply their trade. It is only when no concessions are made to terror by the United Nations, the European nations and the super powers that it may fade away. When those who utilize terror fail to reap any political gain through their acts, then the motivation will end. For the real point of terror is not to kill innocent people, but rather the use of the gruesome murder of innocent people as a method of achieving a political end.